Sometimes, it’s the simple things that bring the greatest pleasure. 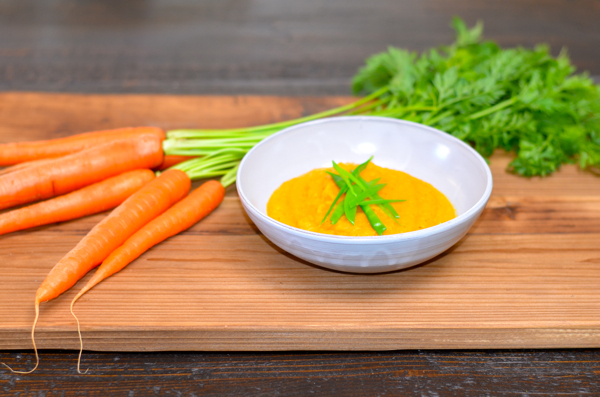 That’s what this carrot soup recipe is all about. A few ingredients allowing the star ingredient to shine in flavor. 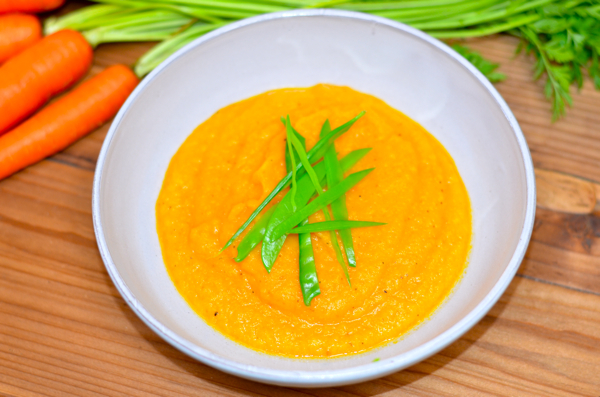 This carrot soup tastes slightly sweet and fruity from the carrots while the potatoes add some creaminess to the soup. The color is bright and vibrant. Garnish with some fresh snow pea pods and you have a soup that screams springtime! From by the bay, wishing you simple and delicious food memories! Add all the ingredients into a stock pot. Bring to a boil and then lower to a simmer. Cook until the carrots and potatoes are soft. Bring to room temperature and puree in a food processor. Adjust seasoning to taste. Serve warm or at room temperature. 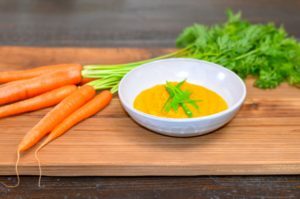 This entry was posted in soups and tagged carrot recipes, chicken stock, potato, simple carrot soup, spring recipes on March 27, 2018 by entertainingbythebay.